After months of work, brainstorming, discussions and negotiations, with quite a bit of blood, sweat and tears involved from the TechChill agenda team, we can finally say our stage agenda is live! We’re proud of the result, and happy to share it with all of you. We have more than 70 speakers from all over the world on board, covering topics from mental health in technology, to building startups with impact in the long term and offering a deep dive into the current trends in fintech, SaaS, hardware and deeptech. This year, TechChill will host two stages full of inspiring content, valuable insights and experience stories from some of the most exciting founders. The Superhero Stage on the first floor of VEF Culture Palace will offer the floor to founders, ecosystem builders, policymakers and opinion leaders building for impact and driving innovation. Our hosts there will be Latvian startup ecosystem veterans, the Co-founder of TechChill Foundation Marija Rucevska and Ernests Stals, the Co-founder of both TechChill and TechHub Riga, bringing their unique and powerful energy to the stage. If a deep dive into the startup life is what you’re looking for instead, then we advise you to head upstairs to LMT Founder Stage on the third floor, where you’ll have the rare opportunity to hear fifty most promising startups deliver their 3-min pitches. Between the pitches, stay for a discussion on future trends and current status in five most interesting startup verticals around – fintech, deeptech, SaaS, hardware and impact. On Day Two, the stage will offer valuable content on the ins and outs of building a company for the long term, useful for all startup founders and entrepreneurs – from getting started, to growing, marketing, building a team and scaling up. The stage hosts on Day One will be our dear friend and Riga TechGirls Co-creator Anna Andersone, joined by Nick Stevens. On Day Two, Janis Rozenblats, the Founder of Mailigen and a member of the board at the Latvian Startup Association, will join Anna to host the stage. “It’s such an honour to bring together international tech and startup ecosystem experts here in Riga. 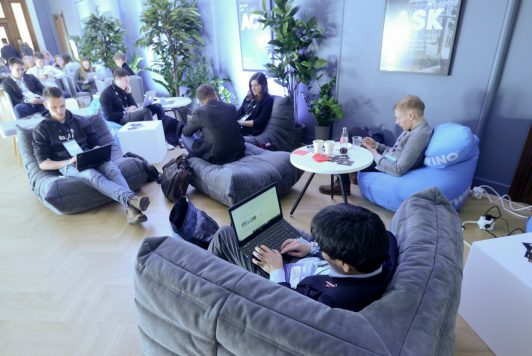 I invite not only to listen to their experience but more importantly to meet these people, network and establish international contacts without even leaving Riga,” says Kristine Kornilova, CEO of TechChill. The main theme for this year is IMPACT and the burning questions about the impact of technology on our daily lives and how to leverage it for the greater good. On Day One, the Superhero Stage will be all about the Founder Stories, the honest tales at the core of every TechChill event – the good, the bad and the ugly side of entrepreneurship and startup life. You’ll be able to hear the experiences of founders such as Casey Fenton from Couchsurfing, Joshua Slayton, the Co-founder of AngelList and CoinList, Milda Mitkute, the Founder of Vinted – the Lithuanian startup that just raised another 50M a few months ago – as well as Kristel Kruustuk, the Co-founder of Testlio, an Estonian success story. We’ll also look at the darker side of entrepreneurship, don’t miss the agenda block on balancing technology, entrepreneurship and healthy life, which is increasingly an issue not limited to the sleepless startups in Silicon Valley, hosted by our friend and digital nomad Stewart Rogers, Analyst-at-large at VentureBeat. On Day Two, look out for fresh new founders and experienced experts sharing their ideas on the future of disruption in various areas, from foodtech to infotech and privacy, to responsible investing. We will look for answers not just from startup founders, but investors choosing what to invest in and large companies affecting the lives of millions of users. Sonny Vu, Founder of Alabaster will share his insights on deeptech; Cassie Kozyrkov of Google Cloud will discuss how to harness the potential of machine learning and artificial intelligence in an ethical way, with David Ryan Polgar from All Tech is Human opening the difficult questions of hate speech and misinformation online. At the Founder Fireside talks, we’ll hear from Paul Duan of Bayes Impact on how to empower people at scale, Gilad Regev, Quro Protocol on creating a new type of economy built on sustainability and Sauli Bohm (ResQClub) on the future of food, while Ginny Fahs of Uber and #MovingForward will address the power balances in venture capital. 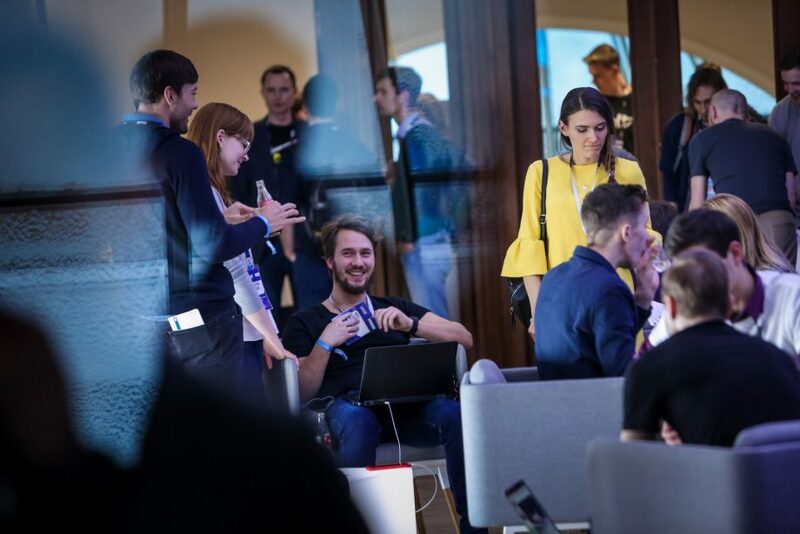 It’s a widely known secret that TechChill is not just the start of the tech season, but also the best place to discover what’s hot in the startup and innovation ecosystem, both in the Baltics and beyond. 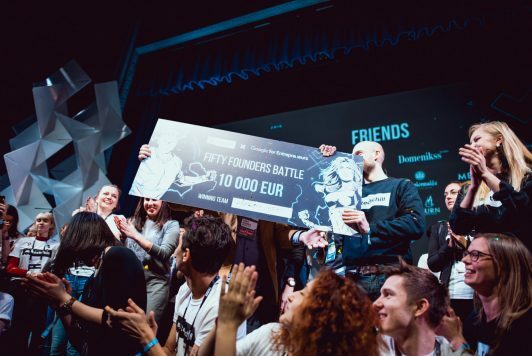 The best way the temperature of the ideas is to check out the startups pitching at the Fifty Founders Battle – it’s a pretty stiff competition of ideas picked from nearly 200 applications, and recent history shows that the best startups from this competition have quite the decent track record of success. But it’s worth hearing from the other side as well, so we advise you not to miss the discussion on cross border investing with leading Baltic Investors from Change Ventures, Karma Ventures and Practica Capital. Meanwhile, we’ll put a spotlight on driving innovation and empowering great ideas, and the role that companies, policymakers and regional ecosystems play in this process, as well as the steps we can take to improve both policies and processes. Kat Borlongan from LaFrenchTech, Elizabeth Varley from TechHub London, Dominic Jacquesson from Index Ventures, Voitto Kangas from Maria01 will discuss the challenges and best practices on how to drive innovation on both the small scale and on the big one, and how cities, regions and even continents fight for the best talents and ideas. Meanwhile, Valdis Dombrovskis from the European Commission will discuss the state of innovation in Europe, Paul Papadimitriou will offer his take on the European startup scene weather forecast, and Adeo Ressi from The Founder Institute will talk finding your purpose as an entrepreneur. While there’s so much to see and hear on both stages, but there is even more to discover beyond them. We’ll want to make sure you make the most of your time here, so don’t miss the DealRoom powered by Karma Ventures where you can book meetings, the Startup Lounge where you’ll meet the most interesting startups and for that much-needed workspace head over to TechHub pop-up co-working area (provided by AJ Produkti). There is more to come, so stay tuned. 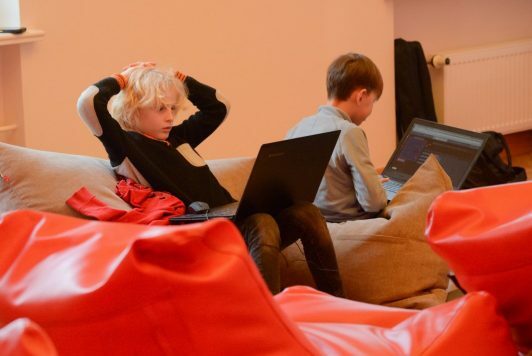 One of our coolest areas is the family-friendly Future Founder Playground that invites parents to bring their kids 0-12 along – the Playground will offer workshops on coding, virtual reality, robots and more for the kids aged 6-10, as well as a playroom and rest area for parents with babies and toddlers. And, of course, stay tuned for both the networking app and the list of all the side events before, during and after TechChill, including the after parties that are the stuff of legend in their own right! (and open to TechChill pass holders only, so also a great chance to make the most of your networking).